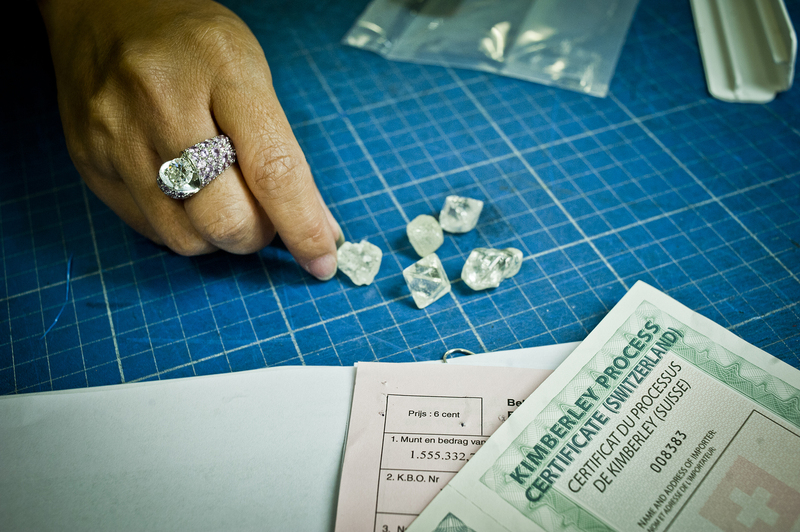 The actual processing of the imports and exports of all diamonds in Antwerp occurs at Diamond Office (DO). It is the core of Antwerp’s unique trade infrastructure, acting as a supervisory body for the Belgian government. It is the only customs office in Belgium where diamonds can and must be declared for import and export outside the EU. AWDC, the FPS Economy (Licensing) and the FPS Finance (Customs) collaborate to implement a triple control system at the DO. This triple control ensures that the Belgian diamond industry is not only the most controlled industry in Belgium, but also the most transparent from a global perspective. More information about Diamond Office can also be found in our Doing Business guide. Consult and download the Procedures related to Diamond Office imports and exports. Conducting a sophisticated system of procedures and controls, DO/Antwerp continually focuses on maintaining the highest internationally-recognized standards of compliance and transparency concerning AML, KP, and CSR. In addition to customary procedures in the diamond business, Antwerp is subject to an additional compliance layer as a result of EU legislation and regulations. The city is widely recognized as the ethical benchmark and role model for the global diamond and jewelry industry.